I never tire of listening and talking about careers, vocation and work. I have 20 years' experience helping people reach and often exceed their career milestones and I still find it fascinating and rewarding work. 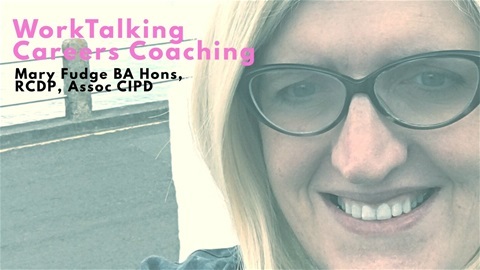 I have worked as careers professional and manager in a variety of settings including training organisations, schools, further and higher education colleges which has provided me with a wealth of relevant experience. I have coached teams and individuals going through organisational change. Earlier in my career, I worked as a recruitment consultant and undertook generalist roles including Human Resources and Development. I have also designed and delivered many training programmes and coaching workshops around personal development and careers. My approach to coaching is an integrative one drawing on a range of models, theories and coaching tools. The main model I use is the well established GROW model developed by John Whitmore during the 1980s. This model is simple yet powerful one, it uses transformative questions to enable the coachee to move through four stages of identifying Goals, discussing the current Reality, exploring Options and then finding the Way Forward to enable the change to take place. Coaching has its roots in sport and was initially used to enable athletes to reach peak performance by focussing on the psychological aspects of sport as well as the physical. I love tennis and try to get to Wimbledon every year (if I can get tickets!) - those of us who are tennis fans know full well that it is as much a mind game as one of skill - that is what makes it so exciting and why sometimes the top players can crash and burn on the court! Timothy Gallwey's 1974 famous book "The Inner Game of Tennis" brought this idea to fore demonstrating that tennis games are won in the mind as much as they are by the racquet. This idea of the "inner game" was then developed into the coaching models that we work with today that can be applied to a variety of business and personal settings. Despite being widely written about and there being a range of coaching tools and theories, the core concept remains the same - if you identify exactly what you need to do in your mind and determine a plan of action then you are far more likely to go out there and achieve your goal. Essentially during a coaching conversation, I will work with you to identify where you are now, where you want to get to and how you are going to get there. I also draw on MBTI (Myers Briggs) personality profile as I have found it a useful tool for clients in helping them understand themselves and the people they work and interact with.